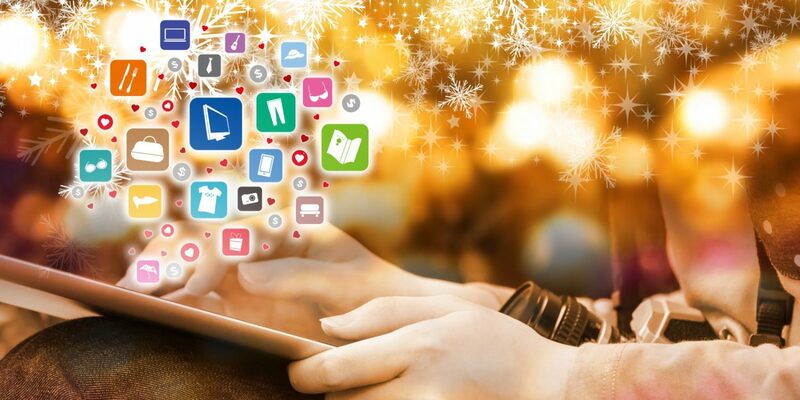 Brand8 PR News/Views | How can I boost my Christmas marketing campaign? With competition greater than at any other point of the year, Christmas presents a major opportunity but also a significant challenge for marketers. The key to success is not simply standing out from the crowd, but also ensuring that your tactics are correctly tailored to your target audience. We previously examined why identifying your audience is integral to content marketing success; here are the top tips for maximising your festive strategy and boosting conversion. Just because one technique worked in 2014, there is no guarantee that the same one will be effective this year and beyond. Instead, look at what resonated with your audience last year and adapt it accordingly. Follow-up campaigns always work well, such as this one launched by retailer Game, which expanded on the success of its Christmas Shopping Simulator with a sequel containing advanced features and no lack of self-parody. This also feeds into the next tactic. Christmas is a time for happiness, and while John Lewis may be ruining mascara yet again with its festive offering Man on the Moon, many retailers are instead aiming to bring tears of laughter to the faces of current and potential customers. Lidl’s School of Christmas is a tongue-in-cheek look at all the elements that go into making the perfect yuletide, with a substantial helping of product placement. Meanwhile, Aldi opted for full-on parody, with its John Lewis lampoon that was entirely spontaneous and reportedly took just 10 days to create, according to the firm’s UK marketing director, highlighting the importance of our next point. With so many unique campaigns being launched across every sector, it is almost impossible to keep track of all media activity, but careful monitoring can enable you to be responsive where it matters. Keeping tabs on relevant social media topics can present the chance to get involved with online discussion, as Aldi did when its parody video sent Twitter into meltdown. Meanwhile, targeted dissemination of marketing collateral such as blogs and videos across social platforms can ensure awareness of what is happening across the business and shows you are ahead of the curve. As with any facet of marketing, take care not to become involved in too many discussions, as it can dilute your authority and you can easily lose track. The key is not to go overboard, which also applies to any campaign themes, as the next tactic explains. While it may be tempting to insert Christmas puns into every tweet, place a Santa hat on every person in a video and border your website and marketing material with holly, overkill can significantly dampen the impact of your message. Of course, content should be themed around the festive season, but approach it as you would do any other campaign. A strategy centred around motoring would not involve using dodgy driving puns in every social media post and adding a tyre track graphic along the bottom of every blog, so there is no need to go overboard with the Christmas content. One of the biggest marketing mistakes any organisation can make is to launch a strategy just because the competition is doing it. Before pushing ahead with a festive campaign, ask whether it will have a tangible impact on the business. If not, consider delaying the push til the new year, when rivals will have slowed down their efforts after a hectic December and you can quickly make your mark. If you really want to gain good favour with prospects, then be generous and accompany your marketing collateral with a gift of some kind. This does not necessarily mean a gold watch or bottle of champagne; it could take the form of anything from a free consultation to a voucher that can be used with an affinity brand. Promotional products have been shown to not only increase brand recognition, but also to deliver increased ROI, so think carefully about whether that branded pen, umbrella or woolly hat could help to drive in more custom and boost conversion. It is Christmas, after all.